Many have forgotten that in May 1987, Boris Yeltsin, then head of the Moscow city committee of the CPSU, received representatives of the chauvinist and anti-Semitic Pamyat organization, thus sending a signal that he was someone the KGB and its allies could count on to defend their interests, Vitaly Portnikov says. Portnikov stresses that he isn’t asserting that “Navalany is an FSB agent. Navalny rather is a project of the special services in a much broader sense of the world. Yeltsin too wasn’t an agent of the KGB,” the organs then recognized that it was “categorically prohibited” from recruiting someone that senior in the party. “But they were not prohibited from talking, cooperating and seeking common interests,” the commentator says. “Yeltsin needed power, a lot of power, indeed all power. And the chekists needed access to financial flows and the preservation of control over the country, total control without the interference of ‘party people. '” They got that in 1991 and then again in 1993. Portnikov continues: “Navalny, although he too criticizes Yeltsin, says precisely what Yeltsin said earlier, what the average Russian, a chauvinist and obscurantist but at the same time a little man with a childish psychology wants to hear.” Navalny just like Yeltsin is someone who can be counted on to be a strong hand and hold things together. “If Navalny came to power in a crisis, he would agree not only with a withdrawal from the Donbas and Crimea but even with the independence of Chechnya or Tatarstan.” For him, “the question will be only this.” Does he and those he is allied with have control over the remaining territory. 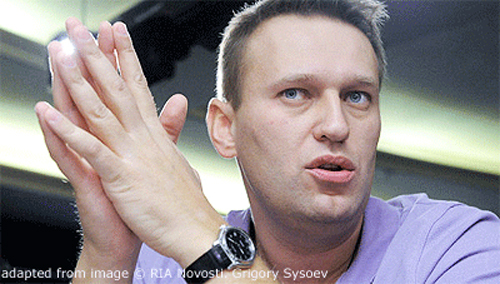 “Of course,” Portnikov acknowledges, “the figure of Navalny is incomparable to that of Yeltsin. 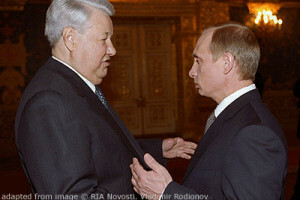 Even at the first stage of his career, Yeltsin was a real politician and looked to be the leader of the masses. Navalny doesn’t.